What happens in Vegas may stay there, but Blue Chip offers you a chance to take a small piece of Las Vegas home at the It's Vegas Baby! Retail Shop. You’ll find all of the sizzle and flair of old-school Las Vegas here, with everything from Rat Pack T-shirts to Las Vegas history books. But that's not all! We also offers stylish items based on Blue Chip's new venues. From T-shirts to sweatshirts, from martini glasses to coffee mugs, you're sure to find the perfect gift for yourself or a loved one. 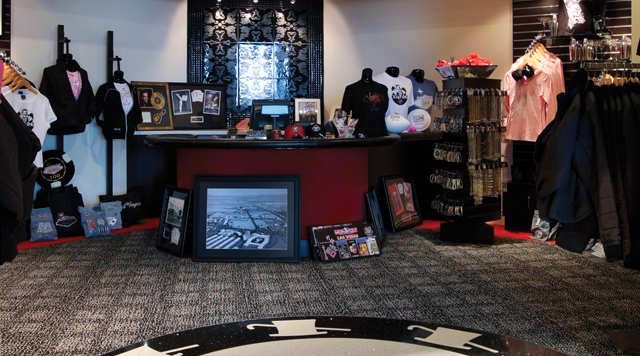 Whether you're looking for a piece of Las Vegas memorabilia or something to capture the memory of your own Blue Chip experience, you're sure to find it at the It's Vegas Baby! Retail Shop.